Say hello to the new kid on the block. 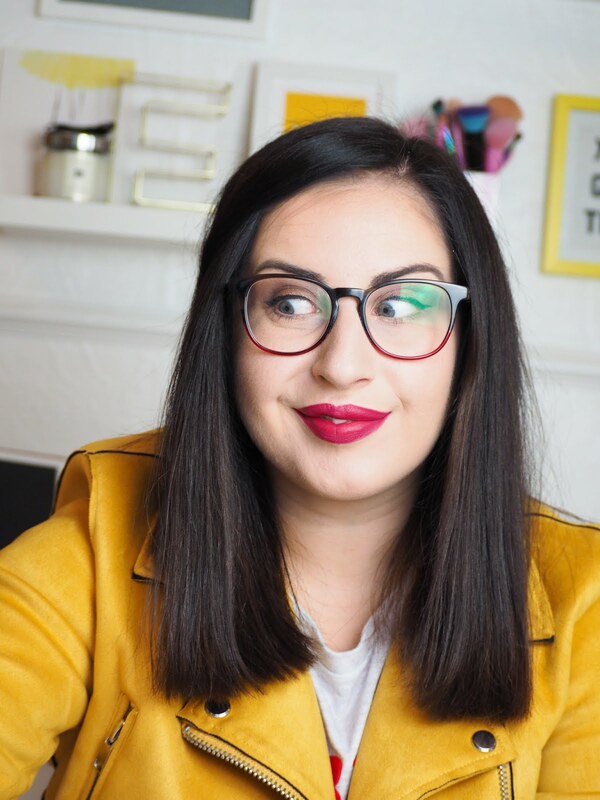 Purchasing skincare now feels like a special treat.. one which I probably shouldn't do, but still, special none the less... being a blogger does mean we have the incredible opportunity to try out some absolutely amazing brands and products. This has left me with enough skincare to supply a small town, but still.. every now and then a product catches my eye and I just have to try it for myself. 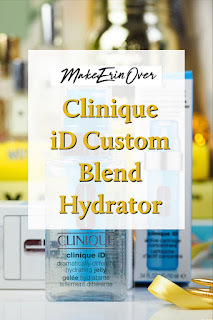 The Clinique iD range was one of these launches for me. The concept is so simple, yet so clever. You pick a base moisturiser, either the hydrating jelly, oil control gel or the moisturising lotion (all existing formulas within the Clinique Range) then you add a booster depending on your wants. There is Irritation (Green), Pores & Uneven Texture (Blue), Uneven Skin Tone (White), Fatigue (Orange), Lines & Wrinkles (Purple). The pump cartridge is then inserted into the moisturiser and is specially designed to pump the correct amount of each to benefit your skin in the best way possible - and to ensure you run out of both at the same time - because there is nothing worse than wasting product. I have combination/oily skin which becomes dehydrated during winter. I also have pretty epic sized pores. 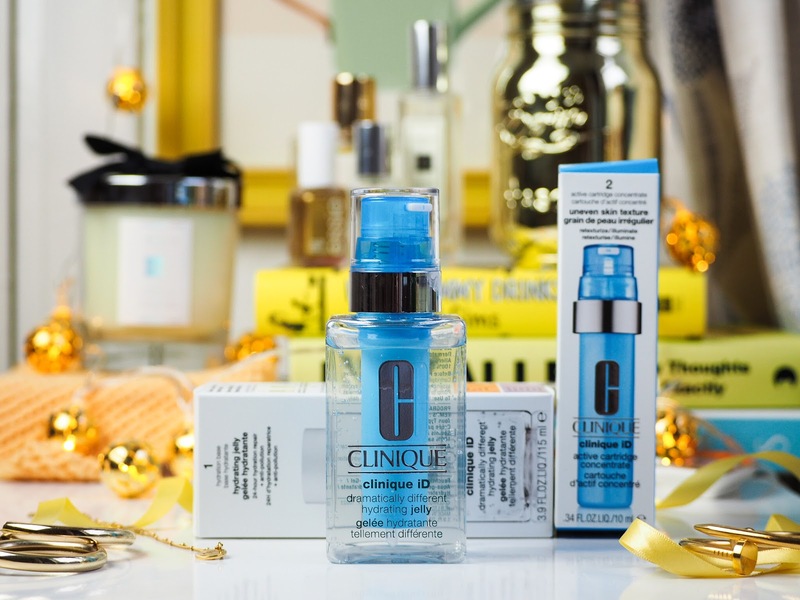 So I opted for the clear hydrating jelly with the (Blue) pores & uneven texture booster. I have been using this now for just shy of a month - and I have loved it. I am using it both morning and evening. 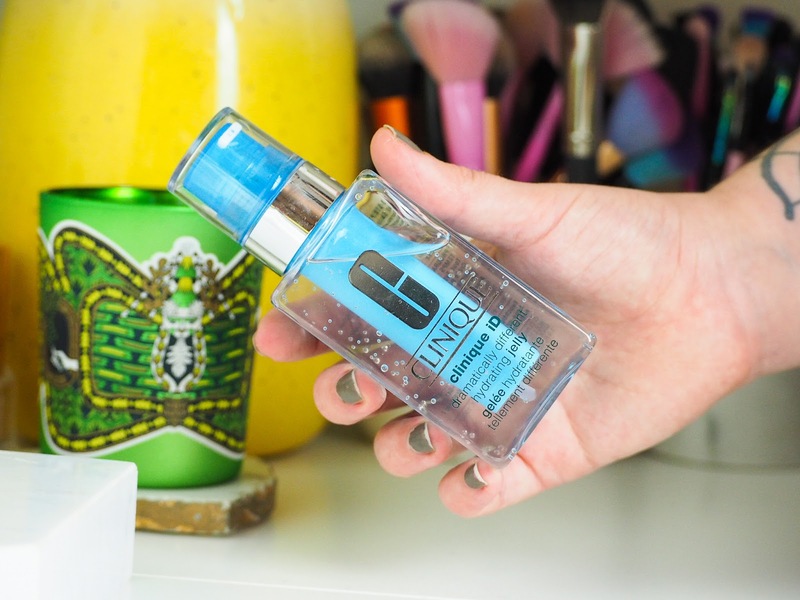 The formula is somehow lightweight but remains hydrating - which is exactly what I look for when it comes to a morning moisturiser. It absorbs quickly and leaves my skin feeling soft and smooth - ready to go. I wish I could say how much my pores have drastically reduced, but let's be fair here in saying that will not be a quick fix - if any. I have noticed that my skin is behaving a lot more than it typically would, and I'm sure it is down to the texture aspect within the booster (It's the only serum I am using) so, so far, so good. I cannot wait to continue using this and see the results. The range is available for £36.00 each - which includes both the moisturiser and booster. 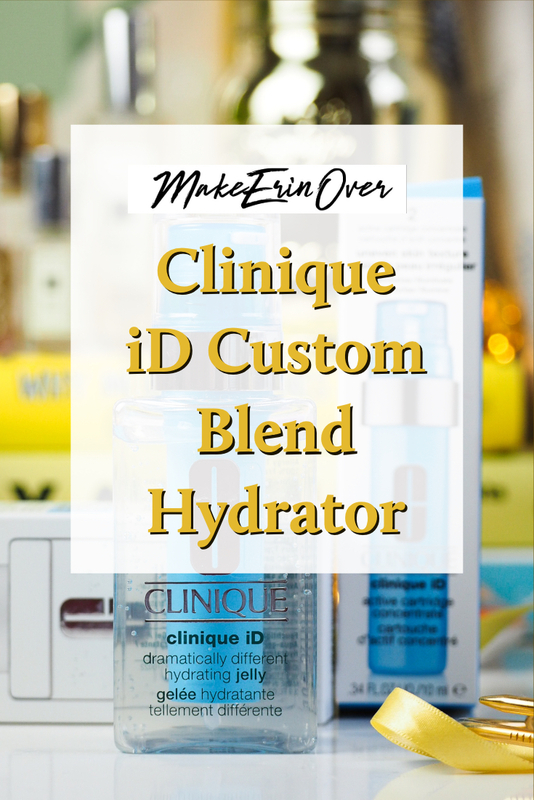 Have you tried the new Clinique iD range yet? Are you interested? Beauty Advent Calendars: My Final Thoughts.